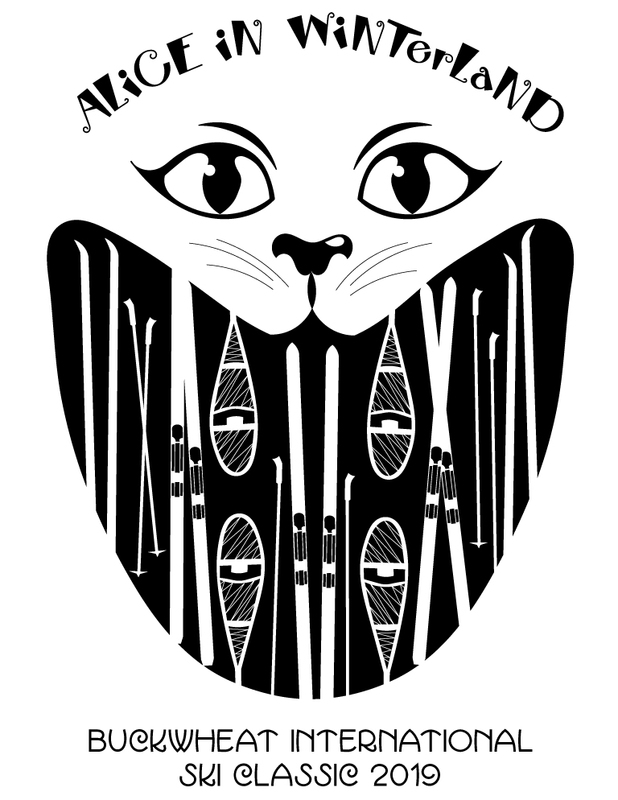 2019 BISC: “Alice in Wonderland” – We had a great day on the Log Cabin Ski Trails. As we had only a limited number of trails available due to a very warm week leading up to the race, there was no race, but it was a classic. We registered 344 people for the race, which wasn’t cancelled until the day before, but about 300 people turned out to have a great time at our Cheshire Cat Castle and down in Skagway after the event. We had no timing or results but we did give out our SPECIAL AWARDS: Miss Buckwheat 2019 – Azure Dominique; Best “Alice in Winterland” Costume – The Caterpillar skiing couple, Brian Gabs and Karen Routledge from Calgary, Alberta, winners of an Upper Dewey Lake cabin weekend courtesy of Skagway Rec. Centre, Temsco Helicopters and Packer Expeditions; Des Duncan Award – Beth and Jim Hawkings, our stellar volunteer chief timers who got to come out and celebrate at the aid station this year; John Briner Award – Patrick Sack and family, who skied out to our aid station and camped all week and helped us build our castle with smiles on their faces, and then skied with us on Saturday. See photos on our Facebook page. Volunteers – We Thank You: Please attend our Volunteer Party on April 6th (watch for email sent to all volunteers and our Facebook page), and see our Thank You ad in the April 12 Skagway News. 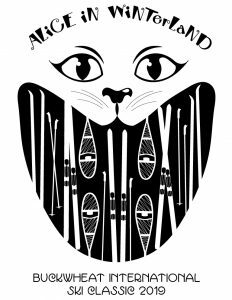 We continue to need new blood to help us continue to put on a fabulous race and keep our trails maintained weekly through the ski season. If you’d like to help out, please contact us. Trail Reports: Unfortunately, snow conditions deteriorated to a point where we were unable to have a race on the usual course. However we were able to use the 10K trails and have a ski out to the main aid station castle on race day to celebrate of the end of winter. Conditions were great up until a warming trend that occurred the week before the race, so the trails will not be maintained after the Buckwheat. See more info on our TRAILS page, and follow us on FACEBOOK to see weekly winter updates including information on Ski Lessons and Gatherings during out ski season. The Log Cabin Ski Trails are maintained by volunteers with LCSS in Skagway by special agreement with British Columbia Recreation Trails and Parks. They are for cross-country skiing only! 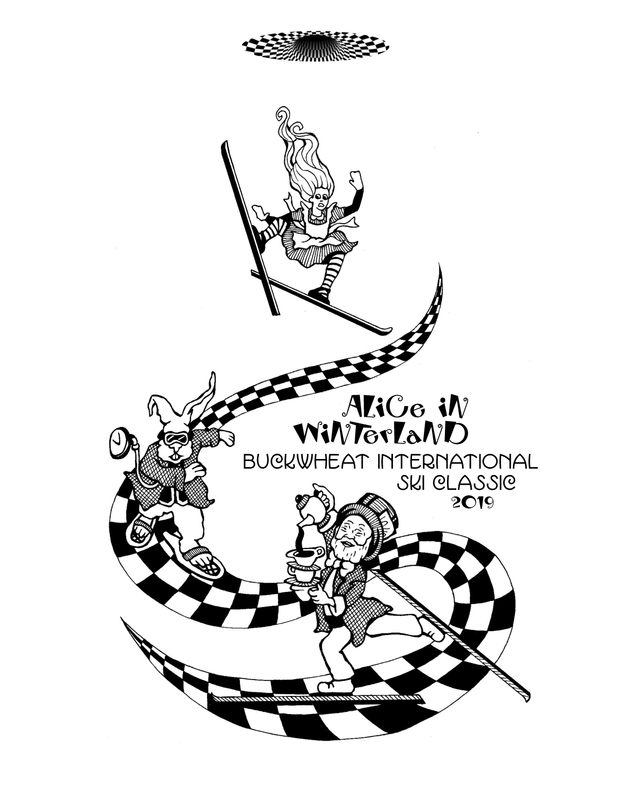 30th Anniversary Buckwheat Ski Classic DVD – Pick up a DVD at the Mountain Shop or Rec. Center in Skagway for $10 and support our Warming Hut Fund! 2019 race photos by Andrew Cremata – see more in our Photo Gallery!